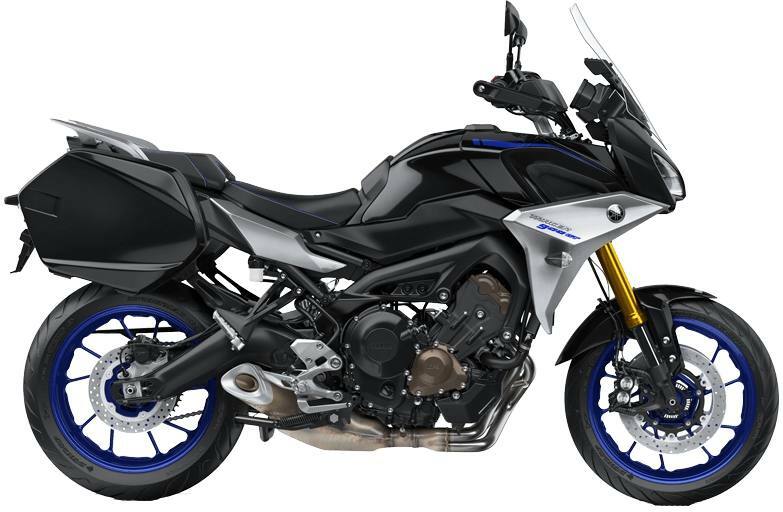 With the new 2019 Tracer 900 GT, Yamaha has taken the revised Tracer 900 sport touring platform (formerly FJ-09) and created a premium version for riders who want high specification as standard. 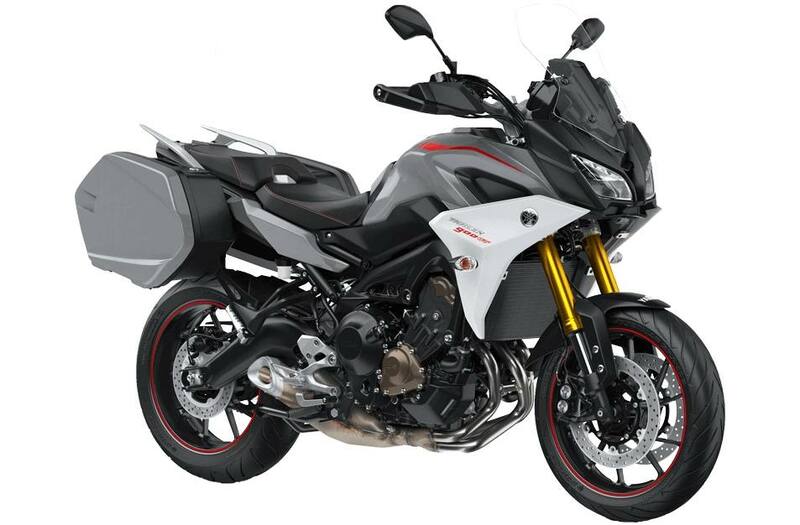 Equipped with hard luggage, fully adjustable suspension and heated grips, the Tracer 900 GT is ready to take you anywhere. 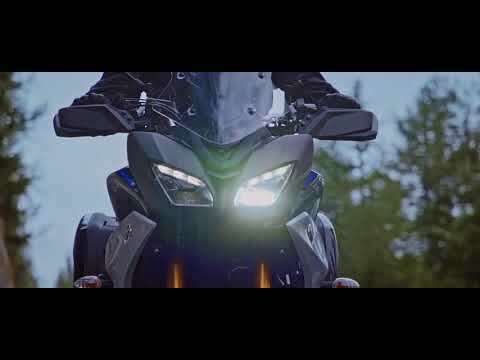 Technology: A full-colour TFT instrument screen, quickshifter, assist & slipper clutch, D-modes, traction control, cruise control and ABS are all standard on the Tracer 900 GT, providing a level of sophistication befitting the most demanding riders. 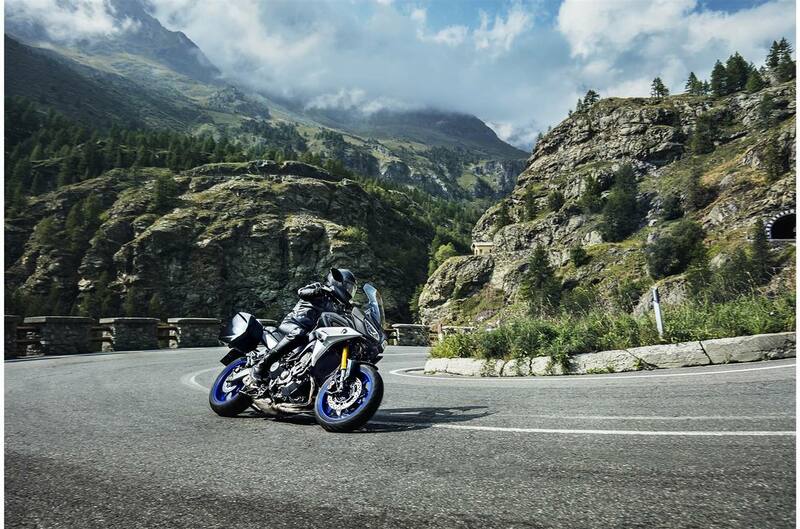 Power: The 2018 Tracer 900 GT utilizes a torquey and powerful 847 cc "CP3" (Crossplane Concept) engine that offers usable low-end torque and enough power to satisfy the most experienced sport rider. 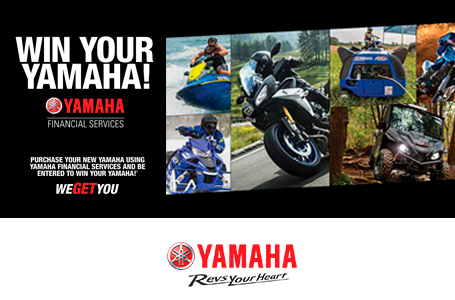 A Tracer-specific Yamaha D-Mode system allows the rider to adjust power delivery based on conditions and preferences. 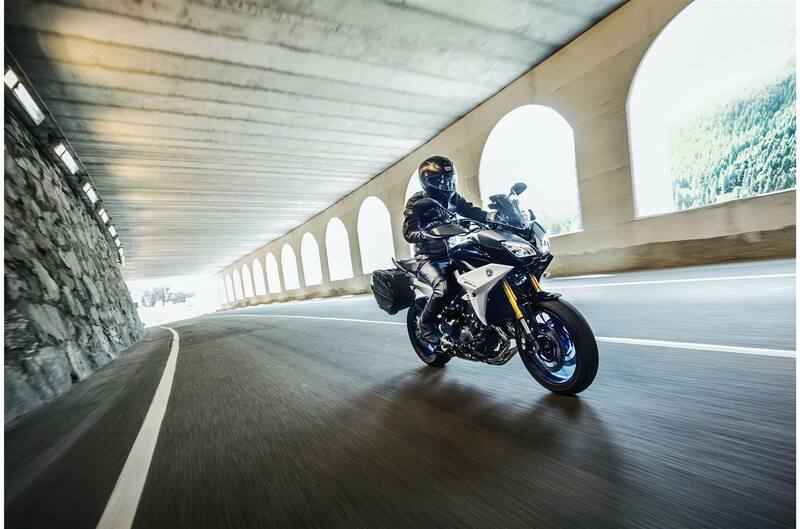 Versatility: With sport-minded performance and relaxed ergonomics, the Tracer 900 can tackle the twisties, the open road or the daily commute with poise. 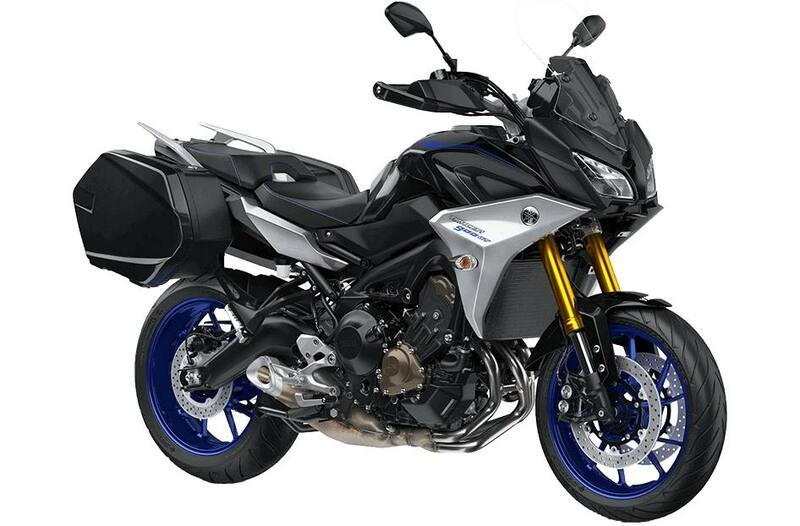 Road trips are calling thanks to standard hard bags, cruise control and an adjustable windscreen, while fully adjustable suspension and a powerful three-cylinder engine make carving the back roads a thrill. 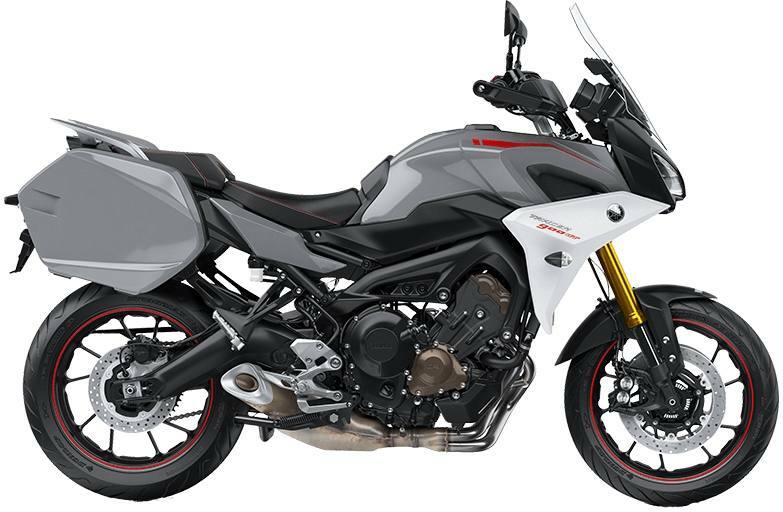 Valve adjustment intervals are every 42,000 kms: design reduces inertial torque while emphasizing linear torque in response to the rider's throttle action; design has been optimized to achieve strong torque over a broad rpm range; fast, linear throttle response; engine design allows a whole new level of "rider/machine communication"
120 degree crankshaft with "even" 240-degree firing order: design reduces inertial torque while emphasizing linear torque in response to the rider's throttle action; design has been optimized to achieve strong torque over a broad rpm range; fast, linear throttle response; engine design allows a whole new level of "rider/machine communication"
Air Injection System (AIS-not ram air) injects fresh air into exhaust ports to fully burn any unburnt fuel, further reducing exhaust emissions. Brilliant LED rear tail light with unique running / brake light display.